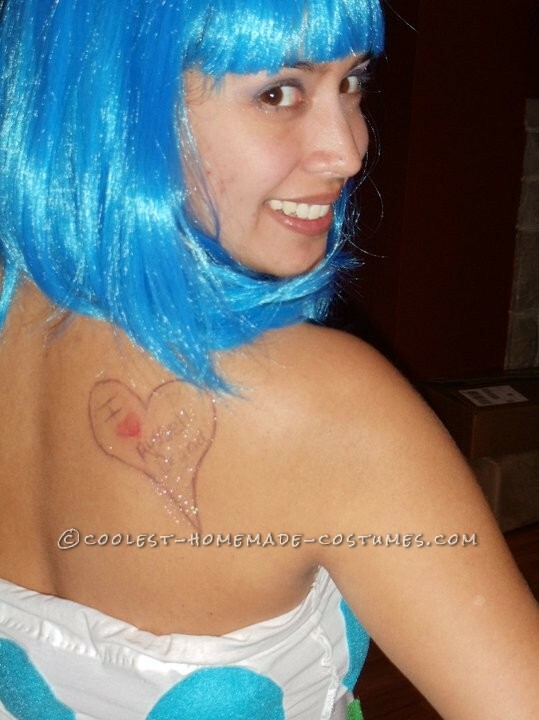 2010 was one of Katy Parry’s best years, so I decided why not have a little fun with it on Halloween. I decided to use an outfit from her California Girls video, the candy dots. Making the dress was the hardest part. I initially took a XL white pillow case, but it was very thin and when I sewed on the dots, the material started to run. So I bought a cheap XL t-shirt and cut off the top and sewed in a drawstring to hold it up. For the dots, I bought individual sheets of felt and cut out circles to fit accordingly. I wanted the dots to have a 3D effect, so I added some leftover pillow stuffer in them. 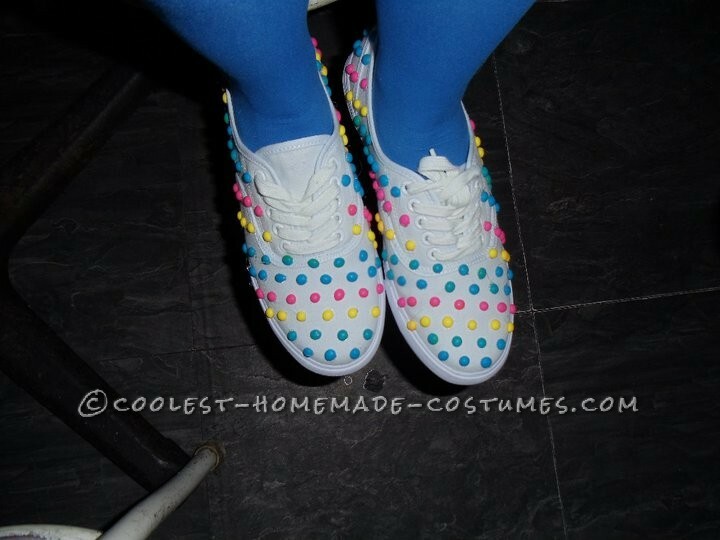 Instead of sewing the dots on, I decided to hot glue them. It was much quicker, but wasn’t as smooth as I would have liked them to be. After I added the dots, I tried the dress on and realized, the 3D effect I wanted pinched up the material and made the tube top dress much shorter than I expected. So I went out and got a blue pair of stretch shorts and some blue tights. Now the easy part, the accessories. I picked up a blue wig at a Halloween store and bought a lot of candy dots and the local penny candy store. I wanted something to keep the wig from moving too much, so I bought a plain white headband and hot glued candy dots the whole way around. I added a little choker necklace and matching bracelets with the candy dots paper. I had a friend draw a little I.